Concepts for a personal project. 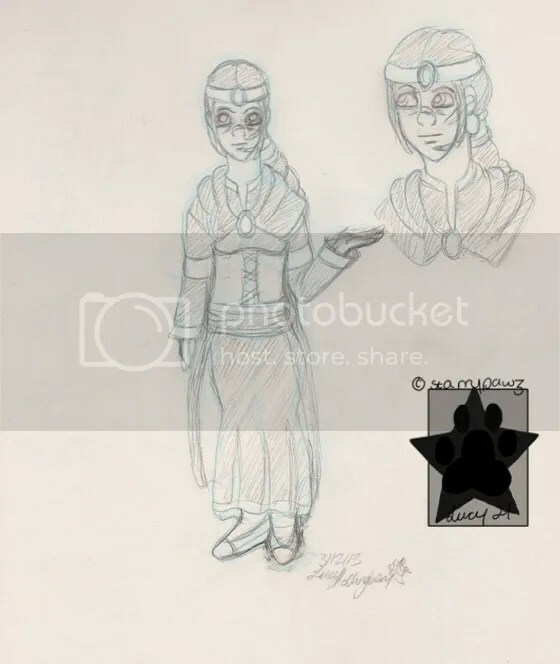 I had an idea for a plot within the project of a princess rescuing their protector. And so it came to me that she becomes the ruler of one area at the time that the ‘main plot’ is occuring. She rescues her protector at the age of 16 and at this point she’s meant to be in her mid forties thereabout. She is known as the ‘Queen of Scars’, but I haven’t got her real name. Concept for the ‘protectors’ (need a better name XD). They are as the name suggests reponsible for protecting royalty. They are not so much warriors, as they are mages and use ‘shadowmancy’ to protect them. Also, not all protectors are male, female ones are known of and fairly common as they are more picked for their aptitude with the magic first. 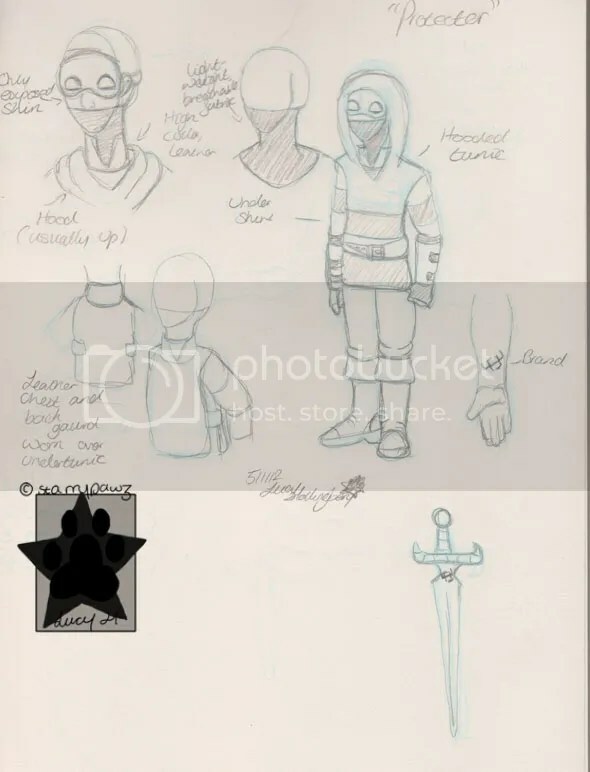 I saw them as not being heavily armoured as that wouldn’t be very benficial but they do wear leather bracers and chest/backgaurd which a high neck. Despite the masks and hoods they do not keep these up all the time. In fact for the most part when they are just around the castle they tend to keep them down, it’s more for appearances sake when they are in public. The brand, the long line marks them as practioners of shadowmancy as it’s a regulation of the mage colleges (shadowmancy is a controversial magic, simply put) and the two shapes over it mark them as a protector.